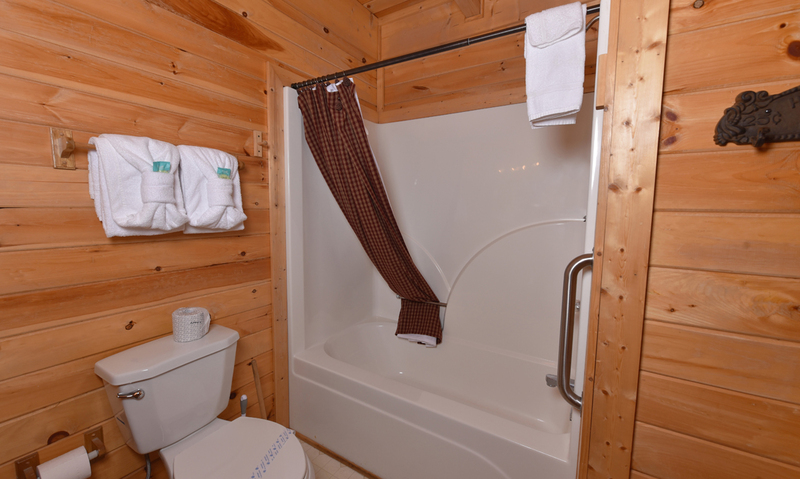 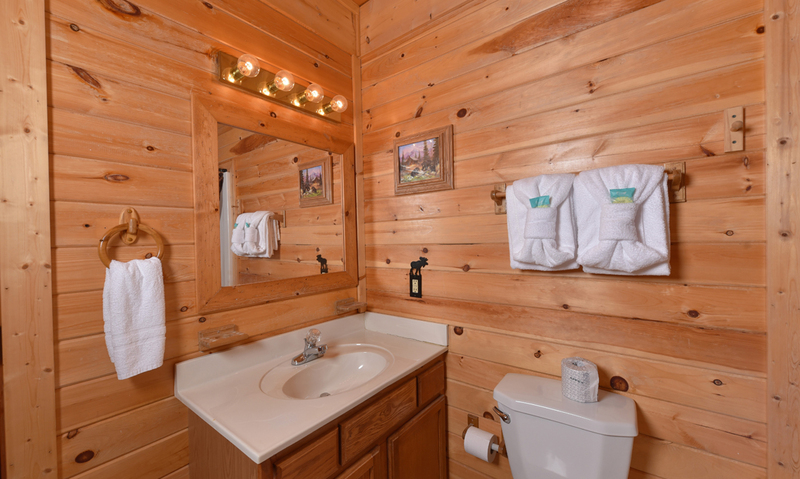 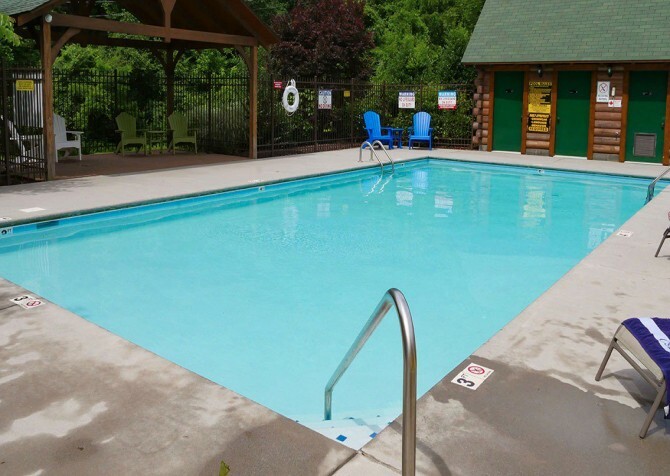 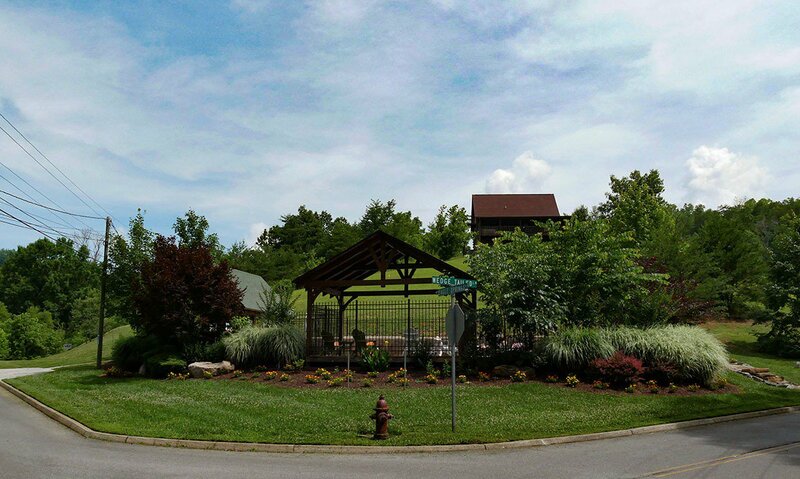 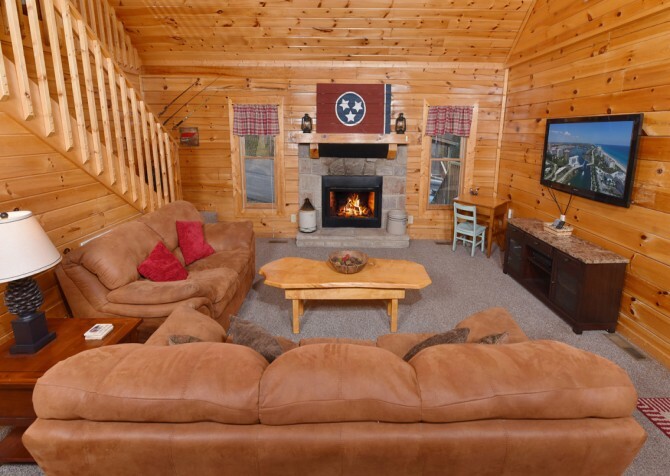 Pioneer Place is a cozy and inviting 2-bedroom, 2-bathroom cabin rental located in Eagle Springs Resort in Pigeon Forge, Tennessee. This cabin rental sleeps up to 8 people, making it the ideal escape for a small family. 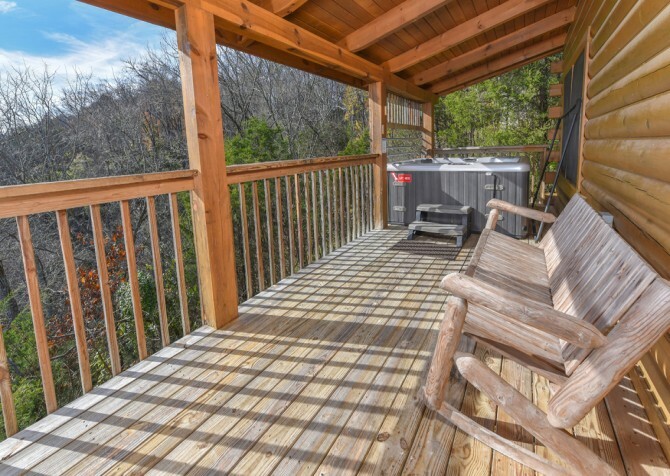 Boasting pool access, a wraparound porch, NEW black appliances, and a NEW arcade system, Pioneer Place is the Pigeon Forge cabin of your dreams! 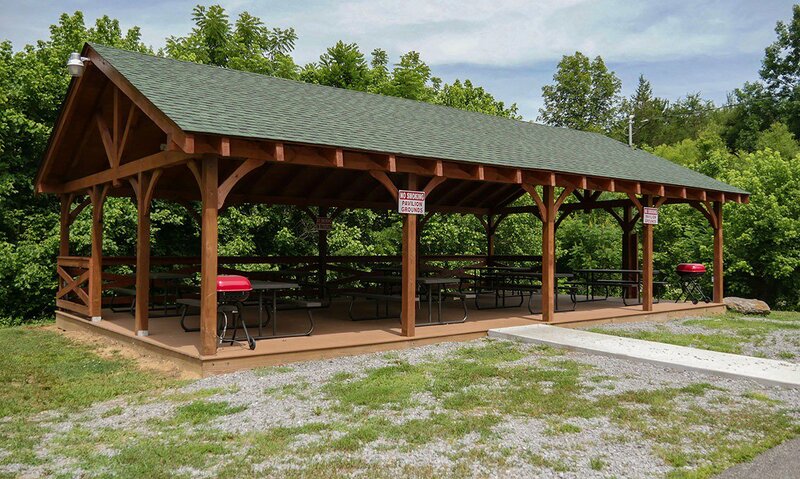 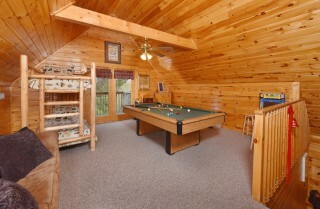 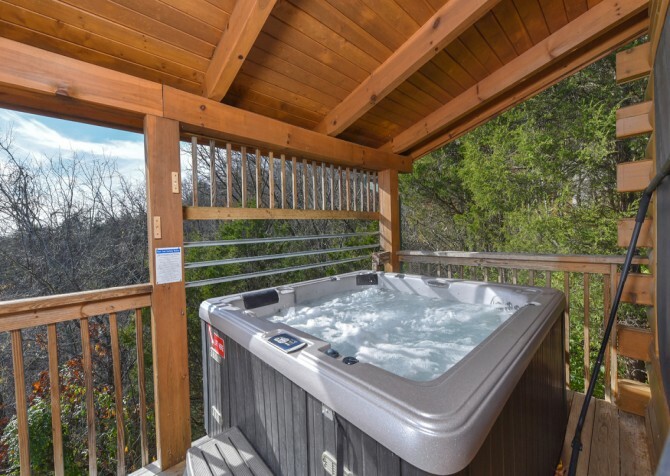 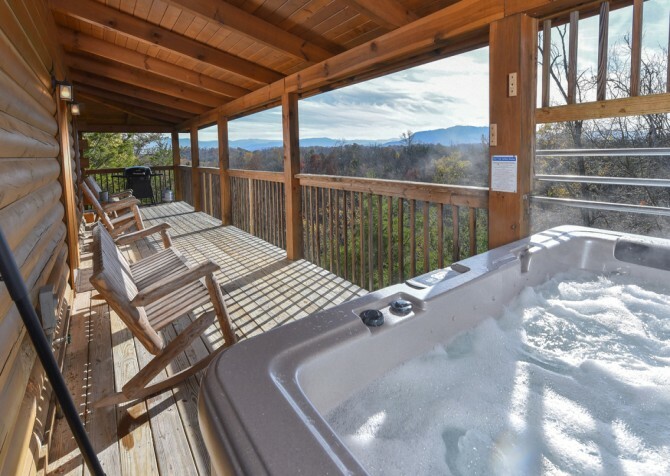 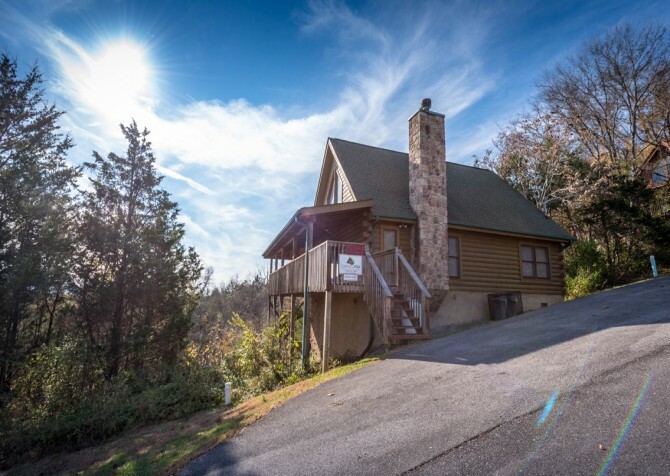 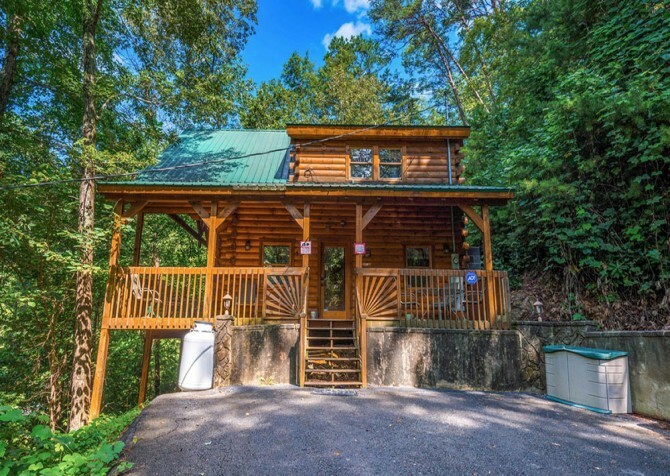 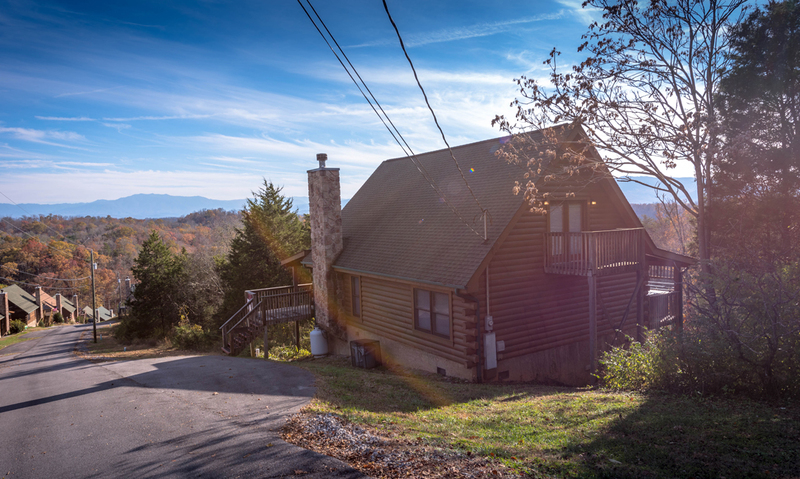 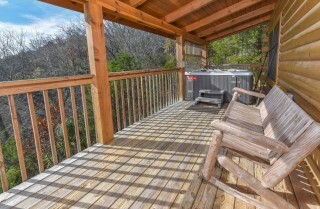 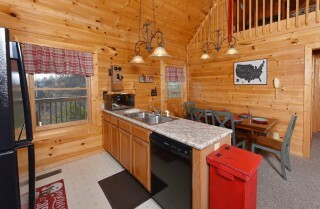 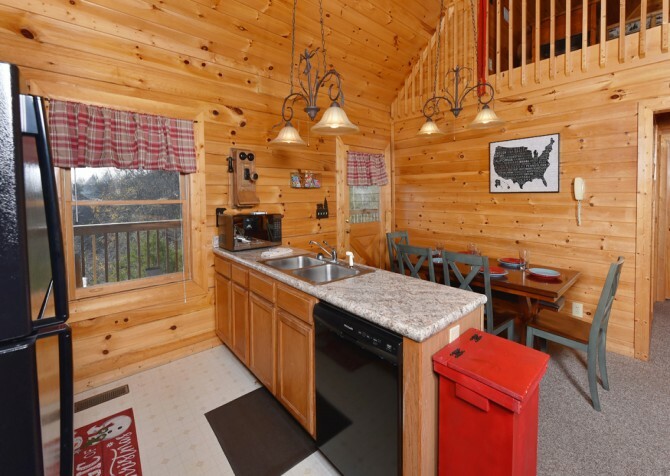 Located only 11 miles from downtown Pigeon Forge, this cabin rental offers you an escape from your day-to-day routine. You and your family will be only a short drive away from Dollywood, Dolly Parton's Stampede and the Tanger Outlet Malls! 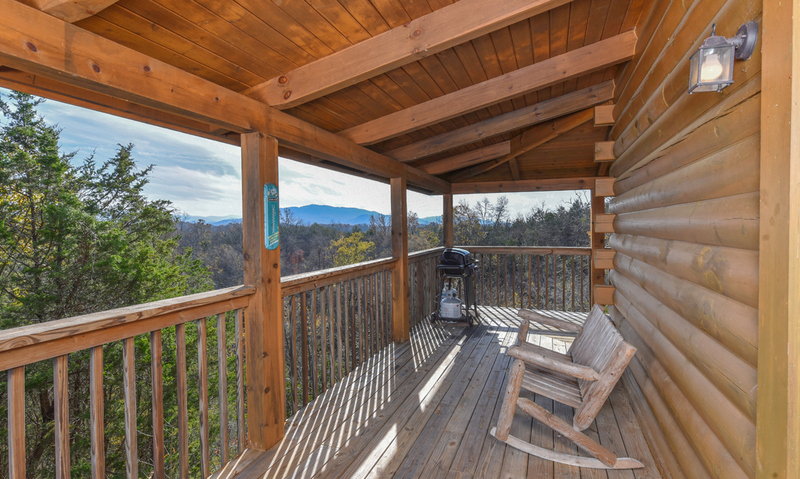 The wraparound porch of this cabin rental boasts authentic log furniture and a gas grill. Have a seat on the benches or rockers while you enjoy the fresh morning air, and then have a soak in the hot tub in the evening after you’ve explored the sights and sounds of downtown. The kitchen is furnished with new black appliances and has a handy island with double sink to make prepping meals a breeze. 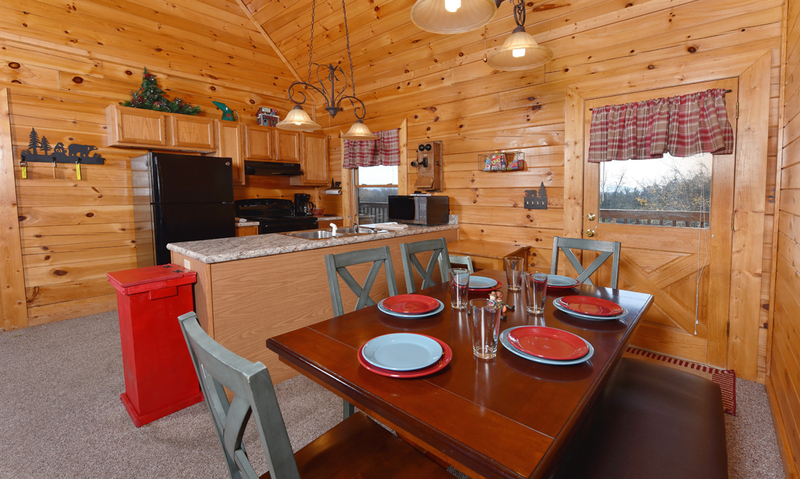 The dining table seats up to six people and is the perfect place to enjoy a nice sit-down meal with your family. 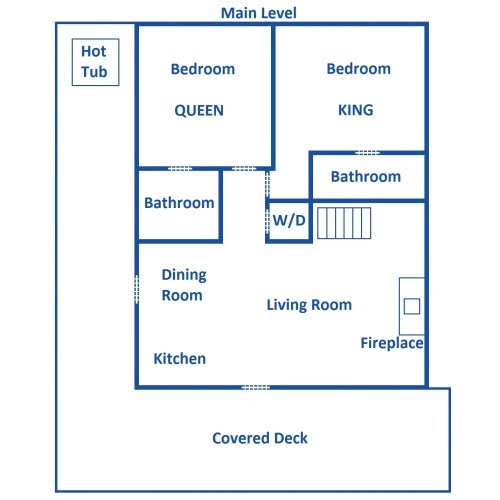 The all-log interior throughout the home offer a welcoming vibe and give Pioneer Place a mountain cabin feel. You will find comfortable king and queen size beds in the bedrooms. 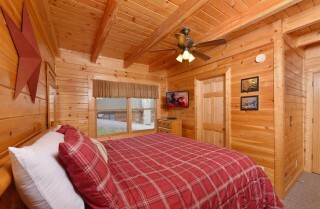 The cozy bedspreads and comfortable mattresses will ensure that you get a great night’s sleep on your vacation. There are bedside lamps if you enjoy reading a good book before bed, but if not, there are televisions to allow you to keep up with the nightly news. There is also a twin bunk located in the loft. 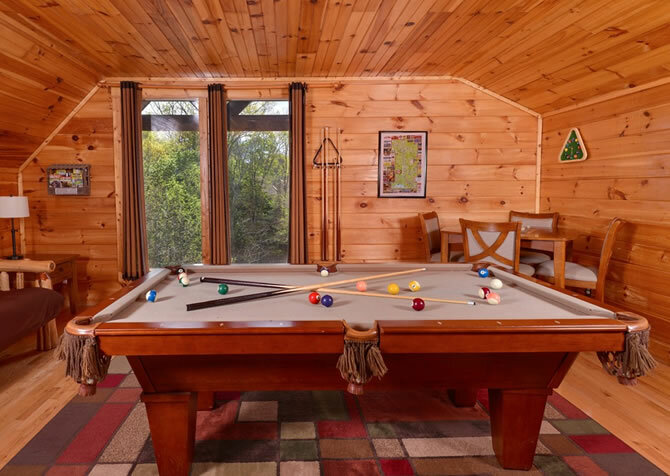 The big screen television in the living area is equipped with a DVD player, so bring a few of the kid’s favorite movies for an entertaining evening in. 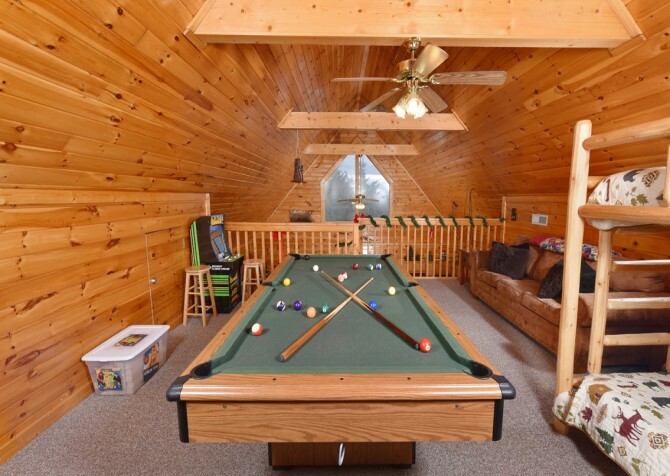 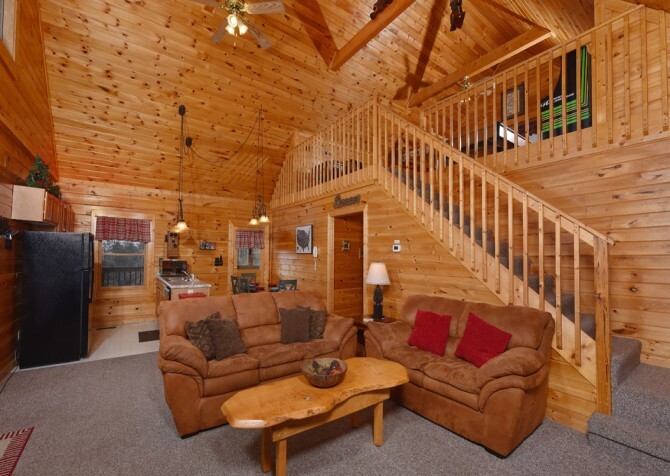 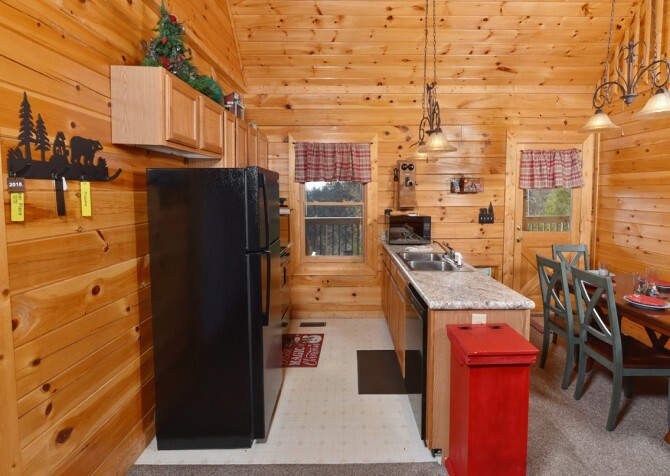 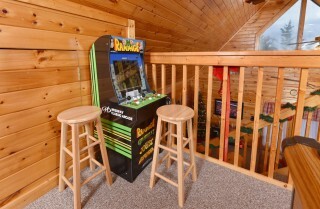 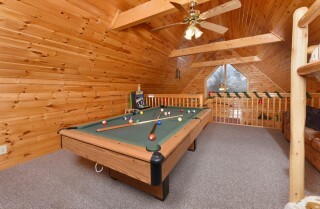 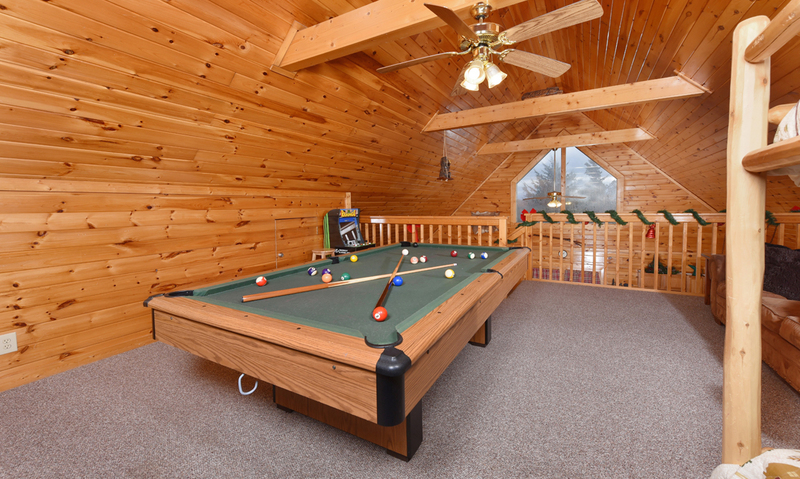 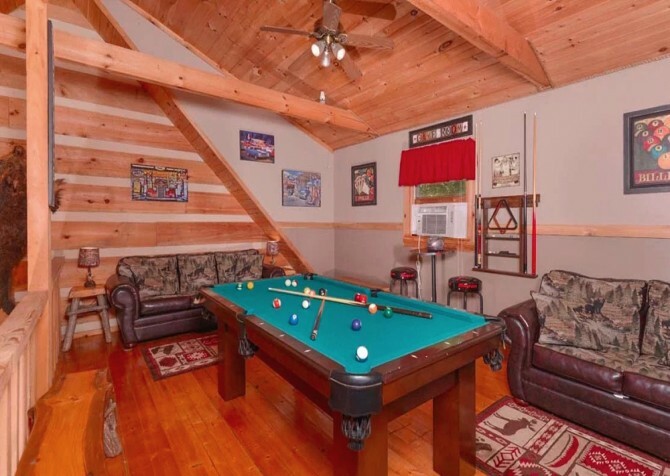 Kick back and relax on the comfortable sofas, turn on the gas fireplace and relax in your Pigeon Forge cabin. 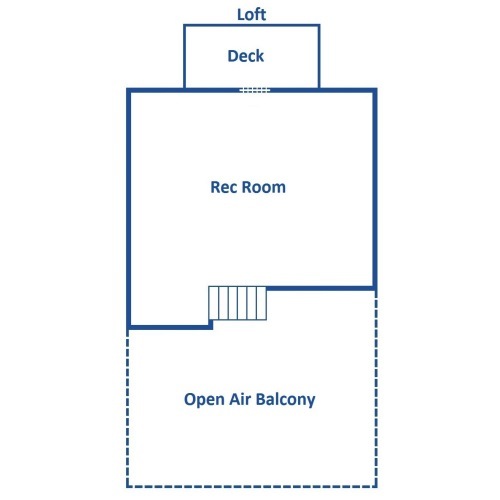 Additional amenities Pioneer Place include paved parking areas, a CD player and seasonal pool access. 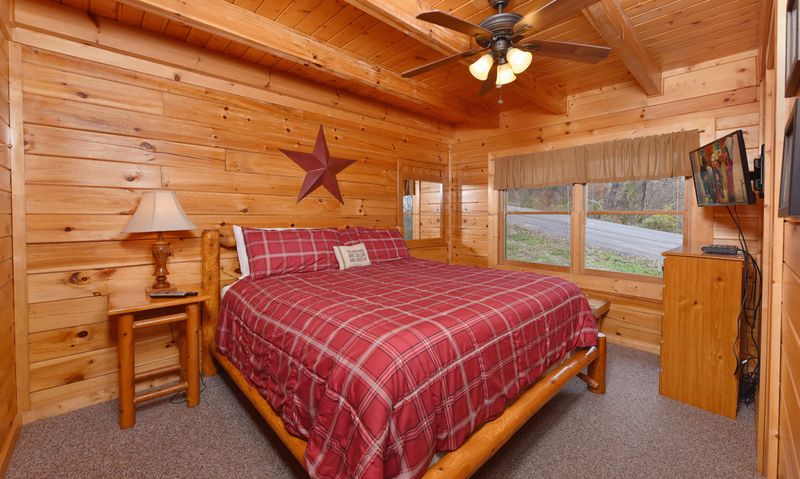 You will love the memories you create at this Pigeon Forge cabin rental and will want to cherish them forever! 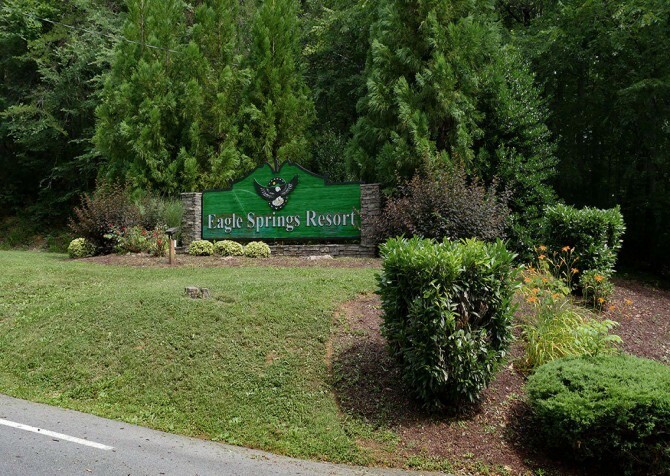 Eagle Springs Resort has a strict NO PETS policy. We cannot allow guests to stay if a pet is present. "It was such a beautiful place! 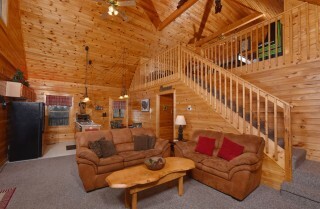 We definitely enjoyed our stay! 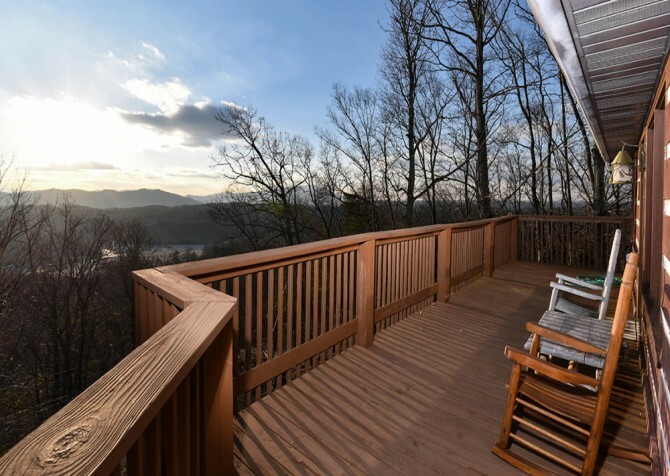 The view was absolutely AMAZING!" Thank you so much for the review! We are so glad to hear you enjoyed your stay and the amazing views! 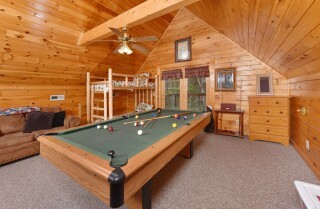 "Was a perfect weekend with family definitely recommend Cabins for you for yours as well as our future bookings. 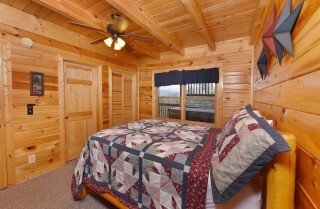 I’ll absolutely rent from you all again." Yay! We are so happy to hear you had a perfect family weekend at Pioneer Place! 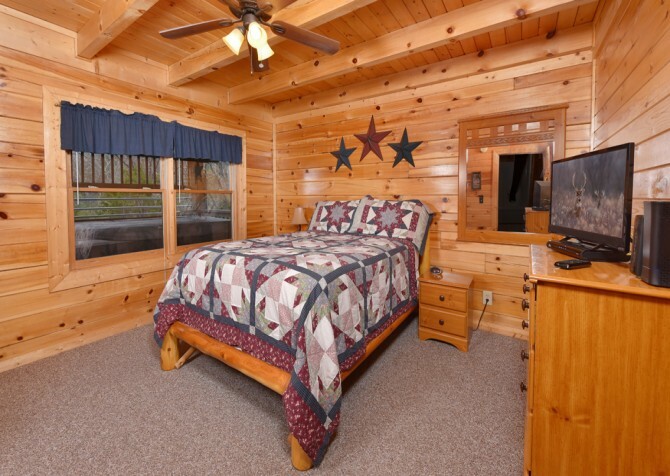 Thank you so much for recommending us. We look forward to serving YOU with even better cabin stays in the future! "This cabin was amazing. It was very clean, organized, and had everything we needed. It was decorated beautifully. The beds were so comfortable and the hot tub was very relaxing. The kitchen was fully furnished. The view from outside was nice also. 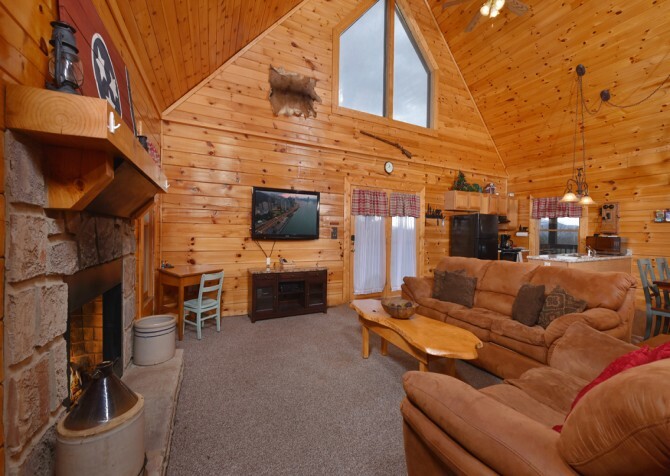 We couldn't have picked a better cabin."